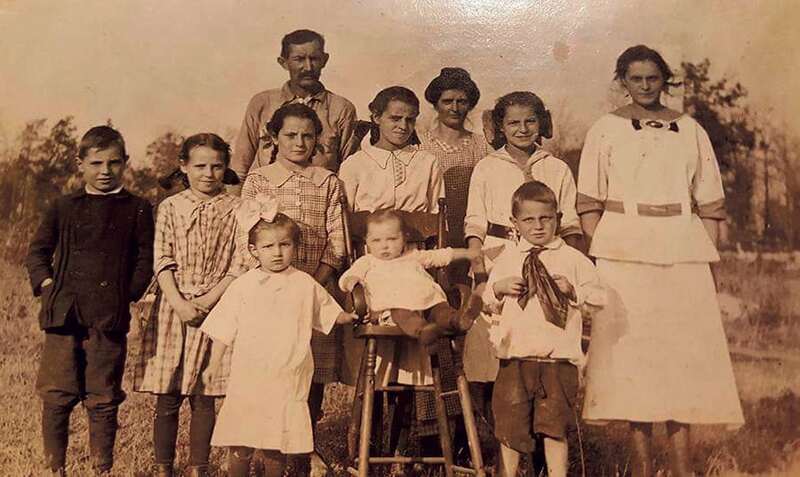 Photo submitted to Times Observer The core family, whose descendents will be meeting — most for the first time — in Youngsville in August are Eva Porter and Oren Henry, and their children Mary, Edith, Carrie Louise, Florence, Alice, Wade, Ira, Harriet, Emma. Not pictured, and adopted: Grace, Marie, Hazel and Dorothy. That, said Lyn Brown Farris, who lives in the pacific northwest and is deep into genealogy, is what initially sent her tumbling down the ancestry rabbit hole. 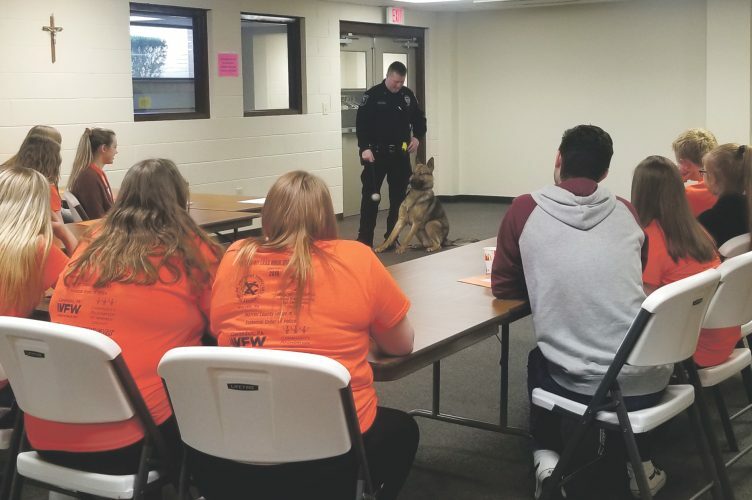 During her master’s program, Farris was asked to interview someone over the age of 60. She chose to interview her mother, and long story short, her mother told Farris her life story and gave Farris her sister’s address. Farris wrote to that sister, and through the use of DNA tests, discovered that some of the people Farris thought were second cousins were coming out to be first cousins. What that means as to her mother’s history — and hers by extension — Farris is still working to find out. But, as she does, she continues to reach out in any way she can to find more and more of her family. After 40 years of digging, Farris has come up with a big list of leaves to be added to her family tree. Many of them hail from Erie, Clarion, and Youngsville among other northwestern Pennsylvania and southwestern New York locales. That sense of finding belonging — of finding one’s tribe — is what supplies the steadily-expanding industry of genealogy research and DNA testing. Farris says of the 15 children in the core Henry/Porter family only baby Dorothy remains to be found. She approximates that her birthdate would have been around or on Nov. 3, 1922, and that her maiden name would have been Dorothy Henry. She likely would have been adopted when she was around the age of three. “I’d love to find Dorothy,” said Farris. While the chances are good that she may be gone, it’s not entirely out of the question. “At least two of the sisters have lived to 110 years of age,” she said. Even if Dorothy is gone she wants very much to find her descendents and add them to all she knows about her family’s history now. Between Ancestry DNA tests, Facebook pages she made to advertise her search, and the old family bible; Farris has found a large portion of her family. One of them, Dorothy Hilliard, never even knew how many relatives she had. Like many of her relatives, Hilliard said, she was fostered at an early age. Originally from Erie, she spent the first ten years of her life entirely unaware that the family she knew to be her own was not her family of origin. They looked alike and the mother was entirely devoted, treating her just like her own. It wasn’t until the matriarch of that family died that she found herself again in a children’s home – in Albion this time – where she met up with several of her own brothers and sisters that she never even knew existed. Over the years she has remained close with her biological and non-biological family members and she’s very much looking forward to meeting more of her family at the upcoming reunion scheduled to be held in Youngsville this August. While she doesn’t feel the need to fill in gaps where family should be due to the fact that her foster family was so inclusive, warm, and showed such genuine love for her that she never grew up feeling as though she didn’t have a family – Hilliard says she is very much looking forward to meeting new people that she can claim a biological relation to. Through her research Farris has discovered that the family is descended from Roger Williams, the founder of Rhode Island, and Daniel Boone. Farris says the thing that overwhelmingly stands out to her – and Hilliard concurs – is the similarities between these people who have in many cases never even known of one another or even crossed paths. “It’s just been so beautiful, getting to know some of the cousins,” said Farris. “I just wish it could’ve happened sooner.” To anyone currently doing genealogy research, or thinking of starting, Farris advises not to wait. Farris and Hilliard ask that anyone who thinks they may be a part of the Porter/Henry clan, which includes the families of Huling, Smith, Porter, Fox, Boone, Steadman, Custard, Preston, Henry, Wood, and Winsor; to contact Farris at brokenstraw24@gmail.com or Hilliard at hilliardd71649@hotmail.com to confirm their relationship to the family, to learn the date, time, and location of the event so they may RSVP.